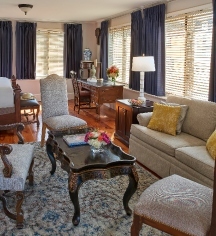 The Hotel Viking offers luxurious and opulent guestrooms that whisk patrons away to the romance of the Gilded Age and the smart, industriousness of the Progressive Era of the late 19th and early 20th century. 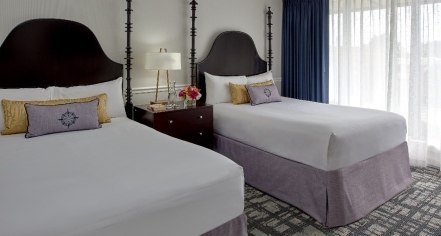 Completely renovated in 2018, the 208-guestroom Hotel Viking offers gilded period furnishings in luxurious rooms with updated amenities such as Egyptian cotton sheets, flat-screen televisions, rain showers with marble baths, and satin duvets. The Viking Wing of the AAA Three Diamond Hotel is one of the original buildings and currently houses the mansion suites designed to replicate the grandeur of the historic mansions of Newport. Business travelers will appreciate The Hotel Viking’s 24-hour access to the Business Center services. Guests will enjoy the convenience of WiFi in the sleeping rooms and public areas. Guests also have data ports and voicemail available in guestrooms.